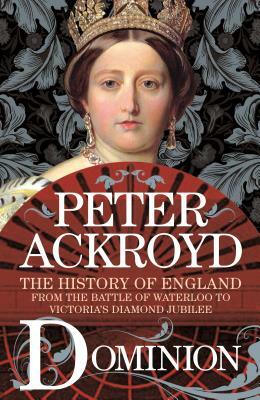 Spanning the end of the Regency, Ackroyd takes readers from the accession of the profligate George IV whose government was steered by Lord Liverpool, whose face was set against reform, to the ‘Sailor King’ William IV whose reign saw the modernization of the political system and the abolition of slavery. But it was the accession of Queen Victoria, at only eighteen years old, that sparked an era of enormous innovation. Technological progress—from steam railways to the first telegram—swept the nation and the finest inventions were showcased at the first Great Exhibition in 1851. The emergence of the middle-classes changed the shape of society and scientific advances changed the old pieties of the Church of England, and spread secular ideas among the population. Though intense industrialization brought booming times for the factory owners, the working classes were still subjected to poor housing, long work hours, and dire poverty. Yet by the end of Victoria’s reign, the British Empire dominated much of the globe, and Britannia really did seem to rule the waves. PETER ACKROYD is an award-winning novelist, as well as a broadcaster, poet and historian. He is the author of the acclaimed Thames: Sacred River and London: The Biography. He holds a CBE for services to literature and lives in London.